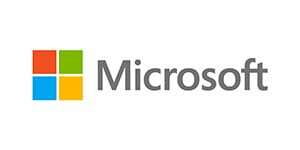 About: Microsoft develops, manufactures, licenses, supports and sells computer software, consumer electronics, personal computers, and services. “As a finance executive it’s key to ensure you’re seen for the strategic value you bring. That’s one of the many reasons coaching with STI has been so transformative. I’ve significantly increased my ability to deliver strategic value across our organization by raising the bar as a leader. I’m now more present with others, listening more deeply, sharing my vision more clearly, enrolling and engaging people like never before. As a result I’ve built more powerful connections and greater trust with senior executives, peers and team members—all of which is crucial as our business continues to grow, change and evolve.